Sorry for missing last week’s screening log folks, but as you know, things can get quite crazy. My one note of interest is that I refuse to write anything on Girls because pretty much every other person on the Internet has done so. I will say that I thought the first two episodes episode are fantastic, and everything you need to know about the show’s relation to its characters is said in that first shot, and that during Hannah’s AIDS monologue all we can see is her face. This is a girl who is clearly unaware of her surroundings, not a prophet. -Police Story, 1985. Directed by Jackie Chan. 35mm projection at Film Society of Lincoln Center. -Bird, 1988. Directed by Clint Eastwood. 35mm projection at Film Society of Lincoln Center. -Frenzy, 1972. Directed by Alfred Hitchcock. 35mm projection at IFC Center. -Mouchette, 1967. Directed by Robert Bresson. 35mm projection at Brooklyn Academy of Music. -Numéro Zéro, 1971. Directed by Jean Estuche. 35mm projection at private screening. Ever since The Raid: Redemption left a sour taste in my mouth, I’ve been thinking about how to construct an action sequence. Action, like all other moments of cinema, must be comprised of beats and motions. Like ballet, the choreography is not just there to serve itself; it must serve a greater purpose in the narrative, or at least create a progression leading to a climax. It wasn’t until I saw Jackie Chan’s Police Story did I suddenly realize what The Raid had done so wrong with its action. The two films begin very similarly with a group of police receiving their orders, as they must raid criminals involved in bad business. But this is how Police Story goes. It starts out as a cat and mouse game as the cops slowly infiltrate the shanty village where the gangsters are meeting. Someone gets spotted, and soon it’s a back and forth shootout through the narrow corridors. The gangsters make it to their cars, and suddenly it’s a car chase (including a sequence Bad Boys II clearly steals from). Then Jackie Chan chases a bus on foot and then chases them down a mountain. And finally it’s a bus vs. Chan showdown. 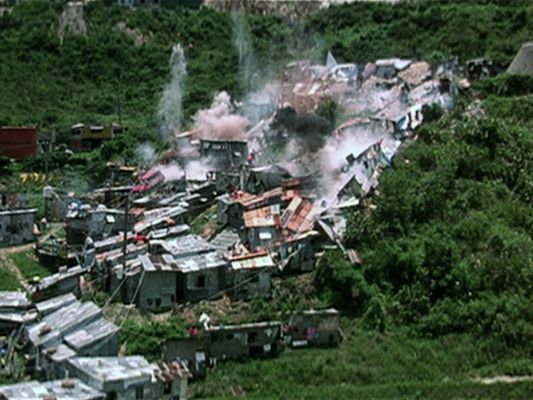 This all happens in the first twenty minutes of Police Story and was so thrilling and constantly exciting that the audience suddenly applauded at the sheer audacity of it all. What you may have noticed in my description is that Chan, as both superstar and director, constantly changes the stakes of his scene. The Raid clearly has sequences that go that long, but they simply continue the same actions over and over. Chan understands that like ballet, there’s a rhythm and pace to action, and one must tell a story within an action sequence, not just show action. He also clearly understands that environment is just as important. One of my large issues with The Raid was its monotonous art direction, in which every room looked the same as the next. Sure that refrigerator explosion scene was pretty neat, but is there any other moment in the film in which it mattered where the action was taking place? I say no. Compare that to the final fight sequence in Police Story, as Chan faces minion after minion in a shopping mall. The mall becomes just as much as a character as the fighters, as people crash into every which object, and things are constantly introduced (including a hilarious stunt with Chan smashing a guy by riding a motorcycle into him). Chan lets the environment dictate the movement of the action just as much as the characters, so we come to never know what can come next. In The Raid, there’s long action sequences, but there’s no surprise in them. Perhaps if the fights slowly moved through different apartments, new objects and environments could have changed the tension. Instead it is simply monotonous. I don’t want this to be simply an angry rant against Gareth Evans’s flick. He knows something about choreography and visually captures everything in a way that other action directors have failed to do—spatial coherence is not an easy thing to do. But I hope whatever project he follows up with can learn to take action as not just an interlude, but as a narrative within itself. It’s what made Jackie Chan more than another kung fu actor thirty years ago. I agree with everything you say. The action in The Raid displays technical skill on the part of everyone involved, but you know who else has technical skill? Michael Bay. What's missing from The Raid is that sense that the action is leading somewhere. Generally the action in the film is there for no other reason than to get to more action that looks exactly the same. What's worse is that any sense that the action IS leading somewhere is because rather than the action leading to interesting, balletic stunts, it's usually leading to some bone-crunching gory kill. That makes it practically pornographic. The action equivalent of a money shot. Police Story gets everything right. First of all, the story is decent enough. 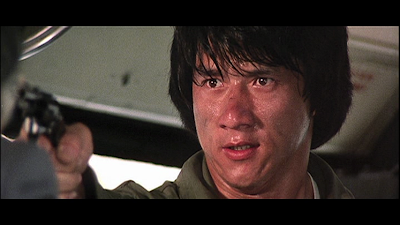 But even if action is your only focus, then Police Story offers up tons of varied action, and all done in a spirit of inventiveness and creativity. Cosigned and very well stated.